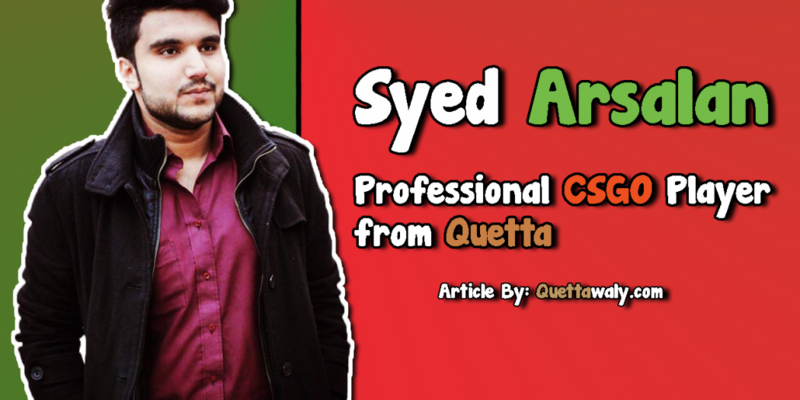 Syed Arsalan is also known as “Harmz” in the gaming world belongs to Quetta, Balochistan. Gaming is no doubt becoming a passion and profession in the youth all around the world. The trend is also in Pakistan too and people are not playing but also earning a lot from online Gaming. There are different online games you can play but among them, there are DOTA and CSGO which is way more professional and like by the professional gamers. 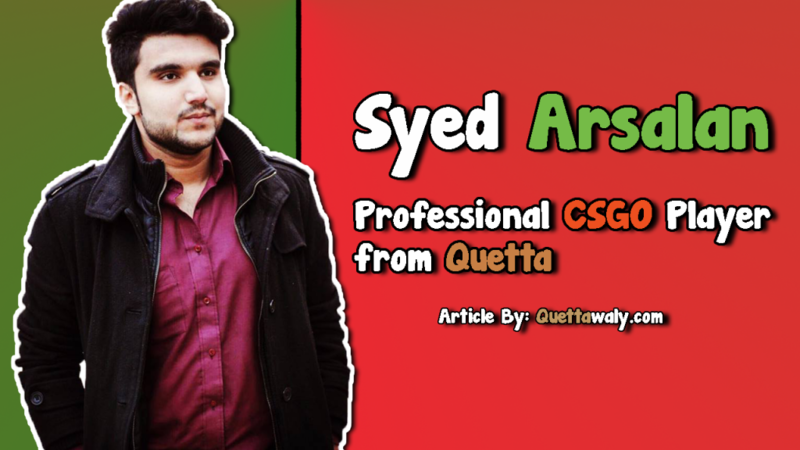 Syed Arsalan is the professional CSGO player from Quetta. It might be new for you to accept gaming as a career but if we talk about our research Syed Arsalan is in the top 10 list of most famous and professional gamers from Pakistan. Recently, Syed Arsalan along with his team Portal Esports won the Mountain Dew league CSGO championship 2018. The winning prize is worth 1 million Pakistani rupee and he is the only person from Quetta who take part and won the league. Syed Arsalan Completed his schooling from F.G Public High school Quetta Cantt, Intermediate from GMDC. He is currently a student of BBA in Balochistan University of information technology engineering and management sciences (Buitems) Quetta. He is truly making Quetta proud and giving recognition in the world as well.